Despite the name, USA’s Mr. Robot actually features very few robots. Sure, some of the villains are robots in the sense that they’re mindless drones of corporate america, and Christian Slater’s character’s cold and calculating approach to completing his mission is a little robot-like, but nobody’s clanking around in a metallic suit or saying “beep boop.” According to The Hollywood Reporter, though, Mr. 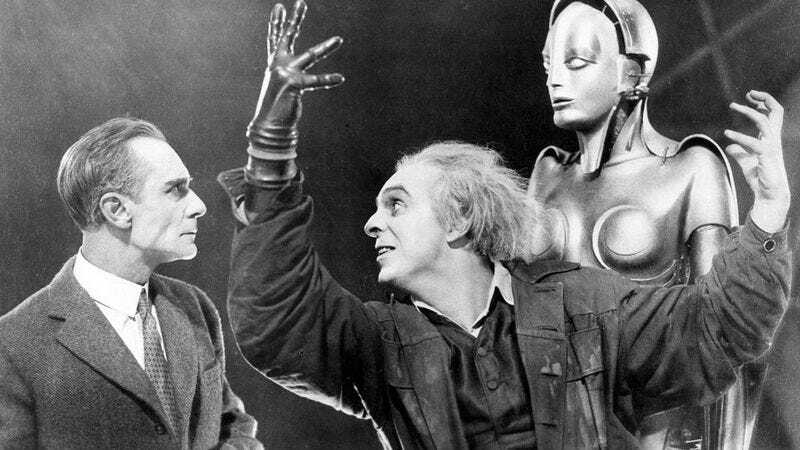 Robot creator Sam Esmail is now developing a revival of one of the most famous robot stories of all time: Fritz Lang’s 1927 sci-fi film Metropolis. This project is very early, but Universal Cable Productions has the rights to turn Metropolis into a TV miniseries, and it’s negotiating with Esmail about what his exact role in it might be. There’s also a writer’s room with “only two or three scribes” who are essentially coming up with ideas for how to shape Metropolis into a show, but they’re not actually writing scripts yet. Also, Universal isn’t planning to launch this thing for another two or three years, which THR points out should fit nicely with Esmail’s plan to end Mr. Robot after a few more seasons. Lang’s original film takes place in a futuristic society where the wealthy class lives in fabulous Art Deco skyscrapers while the lower class lives underground and works on the great machines that make the city run. There’s a star-crossed romance, a mad scientist, a robot posing as another person to try and spread chaos, and a supposed Communist-leaning message, all of which are even more palatable now than they were 90 years ago.